The Jelly Roll Christmas Tree Farm is a great beginning project! 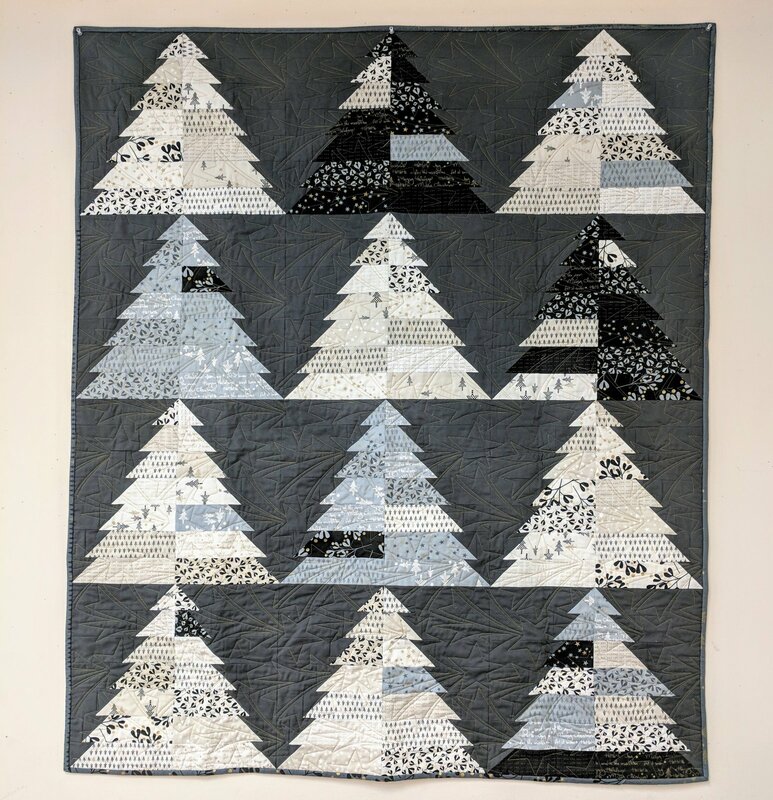 You will be super confident on your half-square triangles when you finish this quilt and have an amazing quilt to enjoy every Christmas season! You can make this in traditional Christmas colors or step outside the box and use neutrals to really make a show stopper! Please make sure to have all fabric cut to 2 ½” strips before class! We will get a great start on this quilt and you will finish the rest of your blocks and assemble the quilt at home.